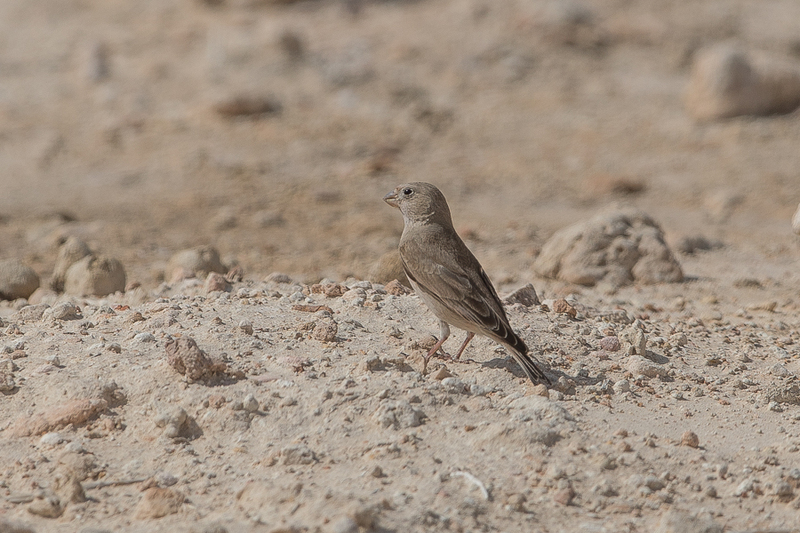 Whilst birding the Jebal Hamrah pivot irrigation fields recently with Phil Roberts we came across a pair of Trumpeter Finch Bucanetes githagineus. This species is a locally common widespread resident found in manly arid rocky areas where it is thinly distributed. Birds are seen throughout the year but may become common after good rains with high count of 80+ on 20 August 1990 near Riyadh. 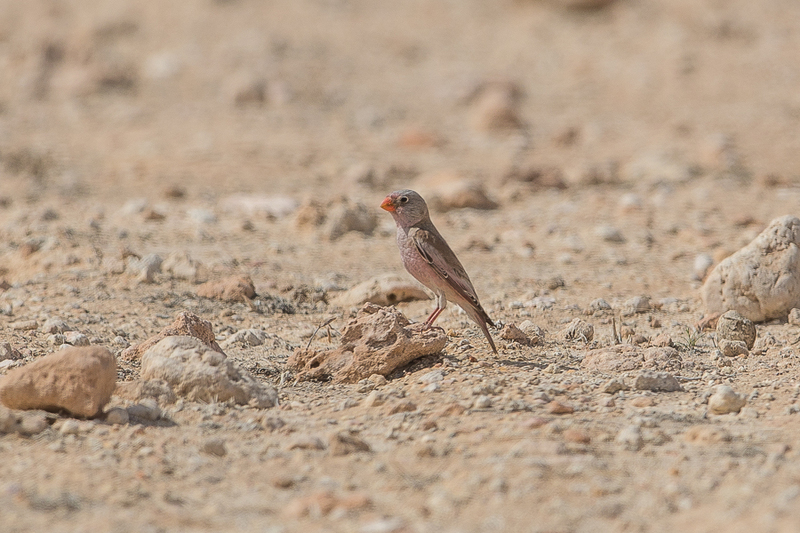 In this area they are a common resident at Thumamah and rather less so at Wadi Hanifah. 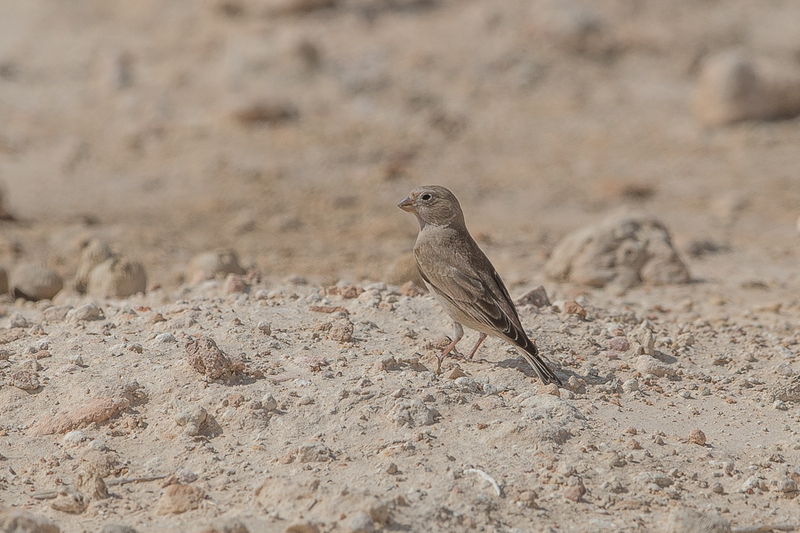 Birds of the Riyadh Region (Stagg 1994) states they are a common breeding resident around the Tuwaiq Escarpment but breeds less commonly elsewhere. Flocks disperse after breeding and may then be encountered randomly throughout the region. Birds are not often seen in the Eastern Province but occur where there are escarpments such as Shedgum and Judah. They have been seen in the Empty Quarter but not on the Tihama or Asir except near Najran where they occur on the drier margins of the Hejaz.